A SURVEY of officers and staff is expected to make “some very uncomfortable reading” for Police Scotland, a rank-and-file association has warned. A joint Scottish Police Authority (SPA) and Police Scotland officer and staff engagement survey closed at the end of June but it has yet to be published. The Scottish Police Federation (SPF), which represents 98% of police officers in Scotland, fears the survey will be used by politicians and the media to ramp up criticism of Police Scotland. The force has faced several major internal and external challenges since it was formed in 2013, including criticism over its use of stop and search, its handling of the deaths of two people left for three days in a crashed car and the death in custody of Sheku Bayoh. SPF officials say staff are also struggling against austerity, pension reform and real-terms wage deflation. Chairman Brian Docherty said: “We know our members are working harder and longer than ever, face greater disruption than ever before and that in parts of the service they are at breaking point. 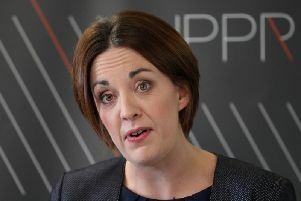 “We also know that policing in Scotland has undergone the most monumental public-sector reform and against a backdrop of austerity, pension reform, real-terms wage deflation and a relentless media frenzy, we fully expect the staff survey will make for some very uncomfortable reading. “We can’t recall any other body being expected to publish its internal reports, but given the increased politicised nature of policing in Scotland we won’t be surprised that the usual commentators will use this as another stick with which to beat, what is by any measure, an excellent public service. “Our members deserve to be recognised for the work they do and service they provide. We believe this survey will reinforce that they have sacrificed a great deal to deliver for our communities and that it is time they were given the chance to catch their breath. Scottish Labour yesterday called on Police Scotland to publish the survey without delay. Police Scotland said: “The joint SPA/Police Scotland officer and staff engagement survey closed at the end of June. “The results are currently being analysed by an independent organisation and, as planned, the results will be published as soon as possible. “The engagement survey generated a high percentage of responses from both officers and staff. The survey is the largest of its kind and the first since Police Scotland began.